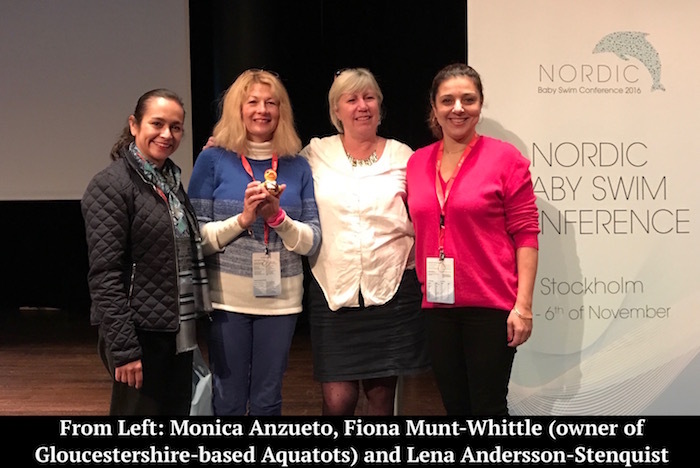 As the UK starts to warm up, I cast my mind back to a wonderful cold icy few days in Stockholm at the end of last year when I went to the Nordic Baby Swim Conference organised by the Swedish Swimming Federation and Nordic Swimming Federation. 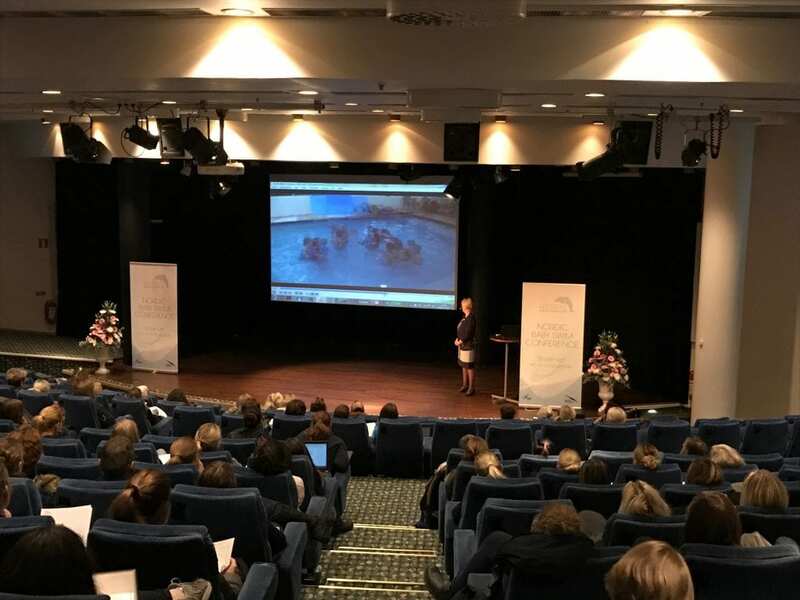 Attended by nearly 200 people from 14 different countries including Australia and the USA, the conference is geared towards swim teachers and swim school operators who teach infants, toddlers and preschoolers (0-4 years old). It was a great opportunity to meet my peers and visit couple of reputable swim schools in Stockholm (Trampoolin & SS04). 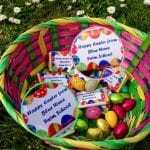 It’s no brainer that by adding more fun in lessons children enjoy themselves more and are more engaged in the activity. However, there’s a careful balance to ensuring lessons are fun whilst not allowing the teaching quality to slip. At the end of the day, most parents don’t view swimming lessons as another source of entertainment for their kids. Children are there to learn so, the focus of lessons should be on teaching kids how to swim in an engaging way. Torill is the recipient of the 2014 Virginia Hunt Newman International Award and she talked about the power of gentle touch when teaching babies in the water. She explained why forceful submersion should be avoided in baby swim lessons because it can potentially do more harm than good and has not be shown to be successful in fast-tracking swim ability. 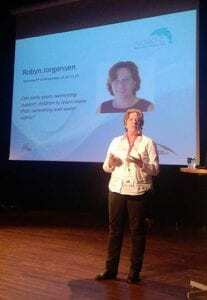 Ulrika’s presentation on how to bring creativity into a learn-to-swim programme was a source of inspiration for many swim school operators including myself. Inspired by Walt Disney, Ulrika (founder of Swimmix) had created different and rotating themes for her classes at her boutique swim school in Denmark. She showcased the best examples for creating a ‘WOW’ factor at her swim school. From backdrops on the pool’s walls to special toys and props, the level of energy, time and resources invested in that process was impressive. Her ‘WOW’ factor recipe was simple: Try to create a well-designed, joined up and fun programme and have a team of trained and enthusiastic swim teachers who can deliver the programme. 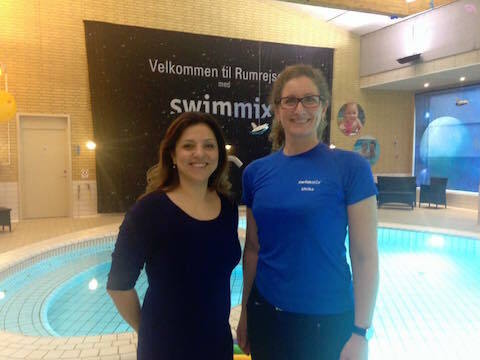 Last year, I had the pleasure to visit Swimmix in Denmark and saw Ulrika’s lessons in action. On that week, their theme was: ‘Going to Space’ (see the backdrop in above picture). Lena is a well-respected educator in the Swedish swimming community and she oversees a large learn-to-swim programme at Helsingborg SS. Helsingborg SS established in 1907, is one of the largest swim clubs in Sweden and it serves its local community; from baby classes to elite level. Lena talked about the importance of teaching and practicing the fundamentals of swimming. Her message was that all the basic skills of swimming like blowing bubbles (breath control) and correct body positions (streamlining) have to be included and practiced regularly at all levels; from novice to competitive level. So, even young children have to spend sufficient time in every lesson to learn and practice the fundamentals. There are no shortcuts in swimming. 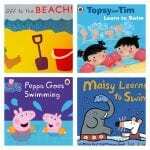 Babies and toddlers love music and nursery rhymes, so many baby swim teachers add them in the classes for extra fun. Judy and Monica provided some practical tips and advice on how swimming movements could be mixed with nursery rhymes and music to make lessons more joyful with higher engagement rates. After all, in ‘Parent & Child’ classes keeping parents engaged is as important as their children. Here’s an example of how we mix nursery rhymes in our baby swimming classes at Blue Wave Swim School. Jim is the owner of New York-based SwimJim Inc swim school. His swim school teaches all ages from babies to pre-competitive level. His philosophy is, in swimming, everything has to be taught thoroughly from the ‘Get-Go’. He believes children as young as 2.5 years old can actually be taught streamlining and correct body position in water. 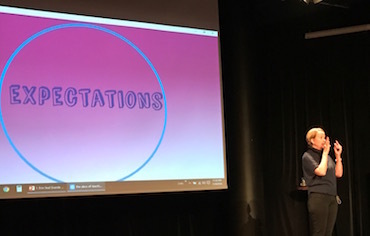 From the clips played at this presentation, reaching certain milestones very early seemed possible for very young children when they were at private lessons. Although I don’t personally agree that at such a young age children are physically and mentally ready for a hard-core approach of teaching swimming, I do agree with the concept of teaching everything correctly from the beginning for improving efficiency and usage of lesson time. 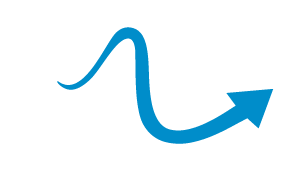 At Blue Wave Swim School, our approach is that all skills needed to become a competent swimmer have to be taught and practiced correctly from the beginning. Erin has done an extensive amount of work with special needs children at her Florida-based Seal Swim School. The takeaway message from her talk for me, was when it comes to teaching swimming to children who may not resond well/easily to new environments like the swimming pool, teachers must be extremely patient and try to figure out different ways to work with them. Teachers should try to work with children based on what a child can do rather than focusing too much on their physical or mental limitations. It was an honour to interact with and listen to the lead academic for the recent Australian study which investigated the effect of early swim lessons on children’s overall growth and behaviour. Robyn’s keynote address was based on her research on 7000 children in Australia, New Zealand and the U.S. She presented the key findings of her research and introduced us to countless new findings about how early-years swimming lessons (0-5 years) can benefit children’s physical and cognitive growth. She is in the process of furthering her research to identify the exact characteristics and components of quality swimming lessons and I, for one, cannot wait to hear more about her future research. In the world of teaching swimming and especially baby swimming, things change quickly. Yesterday’s desirable becomes today’s essential. That’s why it’s important to stay up-to-date with latest research, science and shared learning. Thank you Marjan for taking the time to do this report, interesting to read your point of view. swimming, teaching toddlers to swim <Loved it! Your are most welcome- thank you for your great feedback! Many thanks for this great summary, looking forward to attending the 2018 conference!